Our family has been filmed as a part of a documentary on Mass Incarceration. The documentary film is titled; “Milwaukee 53206”. My husband and I are both from the 53206 zip code in Milwaukee WI. This area has incarcerated more black people than any other area in the entire world. Statistics show that most people from this zip code are destined to fail, be incarcerated and live at or below the poverty level. I have always known that Baron was the man that I wanted to spend the rest of my life with. I saw past his imperfections, he was intelligent, knowledgeable, protective, he wasn't afraid of hard work, and he was my best friend. I could see his potential. My husband and I met when we were just kids, we lived next door to each other for several years. Our relationship started as neighbors, then we became friends, then best friends, we became girlfriend and boyfriend, we became an engaged couple and finally Baron and I got married. When we were teenagers there was a shooting in the neighborhood, I called Baron to tell him about it, but before I could say anything else, Baron was outside ushering me upstairs to safety. One of the bullets made it through the door, that bullet hit both of us, I got hit in the shoulder and Baron was hit in in the leg by the same bullet. If it was not for Baron saving my life, I might not be here today. I stand by my husband's side, Our family serves his prison sentence with him. It is hard raising our children as a single parent, but my husband is worth the wait and the sacrifice. The vows we made before God help us stay steadfast. We've had our ups and downs throughout our relationship, like any other couple. We sincerely love and support each other to the best of our ability. This has been a lonely journey, the burden of it all feels so much heavier since I know that my husband has served adequate time, he does what he is supposed to do and now he remains locked up because there is a financial gain to the State of Wisconsin when they house Old Law inmates. Many people don't understand our struggles and our commitment, but we know that with God All Things Are Possible, since God is the Head of Our Life, God makes "Us" possible. Baron has always been supportive, encouraging and very influential to my success with completing various educational, promotional and business achievements. He is my biggest supporter and encourages me to pursue all of my dreams and ambitions. Baron is my soul mate I have no desire to be with anyone else. We share five children and five grandchildren who all look forward to the day that Baron joins us at home. I miss my husband, I need him home desperately. WI DOC is not required to explain their decisions, there is no transparency and no one to even direct our questions or concerns to, they have Forgotten About The Old Law/Parole Eligible Inmates. 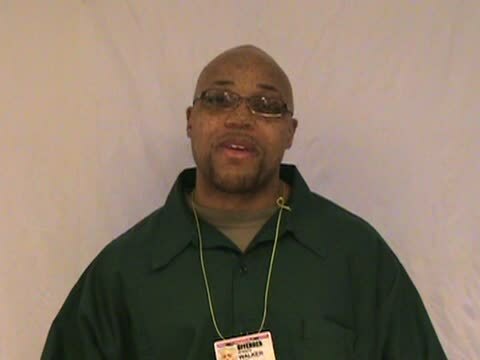 I am enraged that WI Parole System has the option to follow the WI laws, there is No Mandate to enforce, oversee or ensure compliance with the decisions that they make to reject parole grants.